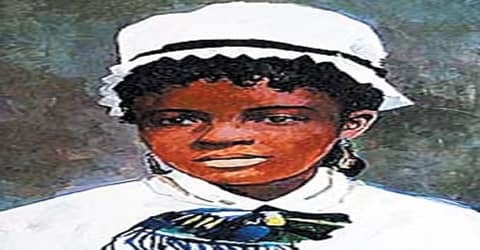 Mary Eliza Mahoney – African American nurse. 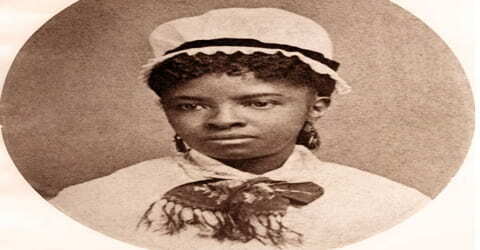 Mary Mahoney, an American nurse, the first African-American woman to complete the course of professional study in nursing, was born on May 7, 1845 (some sources say April 16), in Dorchester, Massachusetts. She was one of the first African Americans to graduate from a nursing school, and she prospered in a predominantly white society. She also challenged discrimination against African Americans in nursing. She was also one of the first black members of the American Nurses Association and has been credited as one of the first women to register to vote in Boston following the ratification of the 19th Amendment in 1920. Despite coming from a poor black American family she was determined to become a nurse and joined a hospital which had the only nursing school in the whole country. She toiled as a cook, janitor, washerwoman and a nursing aide for fifteen years before she was finally allowed to study nursing. She joined the sixteen-month nursing course and graduated the next year as one of the only four students out of forty-three who could make it finally. During this course, she had to provide nursing care, attend lectures, and study the different aspects of surgical, medical and maternity wards. She also had to work as a private duty nurse during the four months of training. Her reputation as a fine nurse grew more and more across the state of Massachusetts and requests for her nursing help started pouring in from adjoining states and from all over America. Her determination to provide the best nursing care and her grit to overcome all obstacles helped her become the only African American nurse at that time to get a diploma as a registered graduate nurse. In 1908, Mahoney co-founded the National Association of Colored Graduate Nurses (NACGN) with Adah B. Thoms. This organization attempted to uplift the standards and everyday lives of African-American registered nurses. The NACGN had a significant influence on eliminating racial discrimination in the registered nursing profession. In 1951, the NACGN merged with the American Nurses Association. She has received many honors and awards for her pioneering work. She was inducted into the American Nurses Association Hall of Fame in 1976 and into the National Women’s Hall of Fame in 1993. 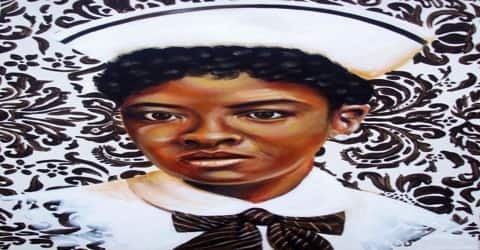 Mary Eliza Mahoney was born in the Dorchester area of Boston, Massachusetts, the United States on May 7, 1845. Her parents were free slaves who had moved to Boston from North Carolina before the American Civil War to save themselves from racial discrimination. At a young age, Mahoney was a loyal Baptist and churchgoer who frequently attended People’s Baptist Church in Roxbury. Mahoney was admitted into the Phillips School at age 10, one of the first integrated schools in Boston, and stayed from first to fourth grade. Phillips School was known for teaching its students the value of morality and humanity, alongside general subjects such as English, History, Arithmetic, and more. It is said this instruction influenced Mahoney’s early interest in nursing. Mahoney wanted to be a nurse from a very young age and joined the ‘New England Hospital for Women and Children’ as a cook, janitor, and washerwoman at the age of eighteen. She worked in this hospital for fifteen years before at the age of thirty-three she was accepted as a nursing student in 1878 by the hospital’s nursing school which was the first in its kind in the United States. Mahoney worked nearly 16 hours daily for the 15 years that she worked as a laborer. After working for several years as a private-duty nurse at Boston’s New England Hospital for Women and Children, in 1878, Mahoney was admitted to the hospital’s nursing program. She received her diploma in 1879, becoming the first black woman to complete nurse’s training. By 1899 she had helped five more African-American nurses graduate from the nursing school despite racial opposition from many quarters. 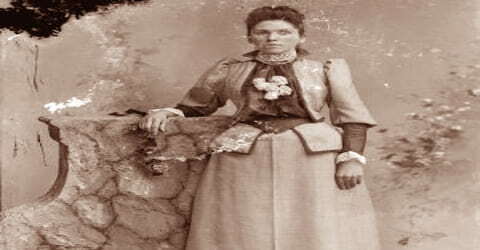 Mary Mahoney was briefly engaged to an unknown doctor sometime during her life, although it is speculated to have happened around her early 20s. The engagement did not last long and left both parties emotionally damaged. From then, Mahoney did not marry and remained single for the rest of her life. Mary Eliza Mahoney registered with the ‘Nurses Directory’ at the ‘Massachusetts Medical Library’ and started working as a private care nurse after getting her nursing diploma. She strove to maintain a high degree of nursing level which was praised by all those who employed her. She treated all patients as if they were her own family members and always considered herself as household staff in spite of invitations from the families to join them. She was determined to change the mindset of people regarding nurses from the minority community and she was successful in her mission with the high nursing standards that she set for herself. At the time of her graduation, seriously ill patients were routinely treated at home rather than in a hospital, and Mahoney was employed for many years as a private-duty nurse. One of the first black members of the Nurses Associated Alumnae of the United States and Canada (subsequently renamed the American Nurses Association, or ANA), she later joined the National Association of Colored Graduate Nurses (NACGN) and addressed its first annual convention in Boston (1909). The association awarded her life membership in 1911 and elected her its national chaplain. One of the many goals that Mahoney had hoped of achieving was to change the way patients and families thought of minority nurses. Mahoney wanted to abolish any discrimination in the nursing field. Being an African American, in a predominantly white society, she often received discrimination as an African American nurse. Mahoney didn’t understand racial discrimination in a workforce such as Nursing. In Massachusetts particularly, it was difficult for African American nurses to find work following graduation due to the limitations of either working in African American homes or working in white homes that already have African American employees in household work. She believed that all people should have the opportunity to chase their dreams without racial discrimination. It is said that Fredrick Douglass, a prominent African American abolitionist, and ex-slave of the time, was distantly related to Mahoney which became one of the influences on Mahoney’s active participation against the repercussions of slavery and racial discrimination against minorities in the United States. In response to this discrimination, Mahoney founded the ‘National Association of Colored Graduate Nurses’ or NACGN in 1908 which welcomed nurses from all communities to become members. The NACGN later merged with the ANA. She addressed the first annual convention of NACGN in 1900 and was made the chaplain and a lifetime member of the association. In 1909, Mahoney spoke at the NACGN’s first annual convention, which became the first time that Martha Minerva Franklin and Adah Belle Samuels Thoms met Mahoney in person. The NACGN struggled in their early stages with only 26 female nurses in attendance of their first national convention. In her speech, she recognized the inequalities in her nursing education, and in nursing education of the day. The NACGN members gave Mahoney a lifetime membership in the association and a position as the organization’s chaplain. By 1910 NACGN had about 2,400 members which doubled in the next 20 years. Often she came across racial discrimination while working in a predominantly white society. She was against all types of racial discrimination especially in the field of nursing and tried to remove them whenever and wherever she could. In 1896 she became a member of the ‘Nurses Associated Alumnae of the United States and Canada’ or NAAUSC which normally did not allow colored nurses to become members. NAAUSC later became the ‘American Nurses Association’ or ANA. In the early 1900s, Mahoney relocated to Long Island, New York, to serve a stint as supervisor of the Howard Orphan Asylum for Black Children, returning to Massachusetts thereafter. Ten years after her death in 1926, the NACGN honored her memory by establishing the Mary Mahoney Medal, an award to a member for distinguished service to the profession. After the NACGN merged with the ANA in 1951, the award was continued. It is now conferred bienially on an individual who has made a significant contribution to opening up opportunities in nursing to minorities. Mahoney was an active participant in the civil rights movement in the United States in 1920. She was among the first black women in Boston to get voting rights after the achievement of women’s suffrage in America with the ratification of the 19th Amendment. After working tirelessly in the field of nursing for forty years, Mahoney retired from active nursing service but continued working for the upliftment of colored nurses. In retirement, Mahoney was still concerned with women’s equality and a strong supporter of women’s suffrage. She actively participated in the advancement of civil rights in the United States. In 1920, after women’s suffrage was achieved in the U.S., Mahoney was among the first women in Boston to register to vote. The ‘Mary Mahoney Award’ for outstanding nurses was established in 1936 by NACGN which was continued even after NACGN merged with ANA. Today it is bestowed upon nurses from the minority groups biennially. Mary Mahoney was named to the Nursing Hall of Fame in 1976 and to the National Women’s Hall of Fame in 1993. Mary Eliza Mahoney was affected with breast cancer in 1923 and battled the illness for 3 years. She died on January 4, 1926, at the age of 80. Her grave is located in Woodlawn Cemetery in Everett, Massachusetts. In 1968 Helen Sullivan Miller, a recipient of the Mary E. Mahoney Medal, spearheaded a drive to establish a proper monument. Mary Mahoney fought against racial discrimination against colored and black nurses throughout her life. She participated in the Civil Rights movement to achieve women’s suffrage in America. According to Mary E. Chayer of Teacher’s College, Columbia University, an unverified report gave Mary Eliza Mahoney’s birth date as April 16, 1845, in Roxbury. Other sources list her date of birth as May 7, 1845. 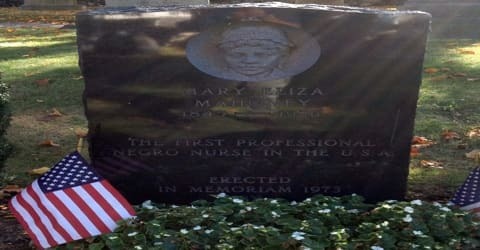 Subsequently, she became one of the first black members of the Nurses Associated Alumnae of the United States and Canada (later renamed the American Nurses Association), as well as a member of the newly founded National Association of Colored Graduate Nurses.